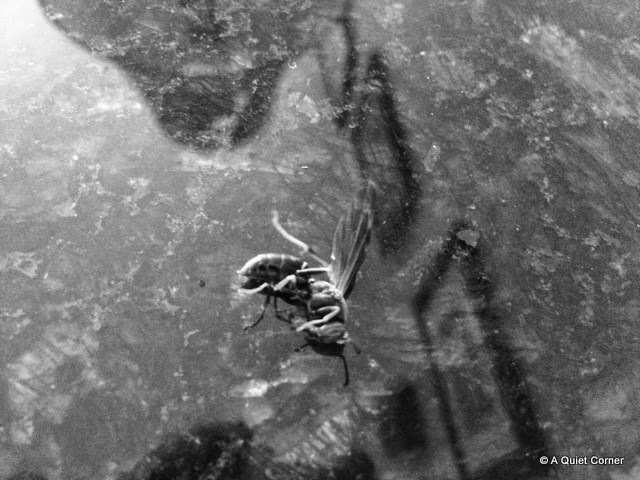 A sad end for the wasp? Happy Friday, have a great weekend! Death 'becomes' all of us eventually....I like it in black and white. One less wasp in the world is always a good thing, especially if it was near your house or pool. Yes, I remember the movie! I don't like wasps near me, but this corpse has a good shape. Great reflections too. A great composition and a nice edit too!